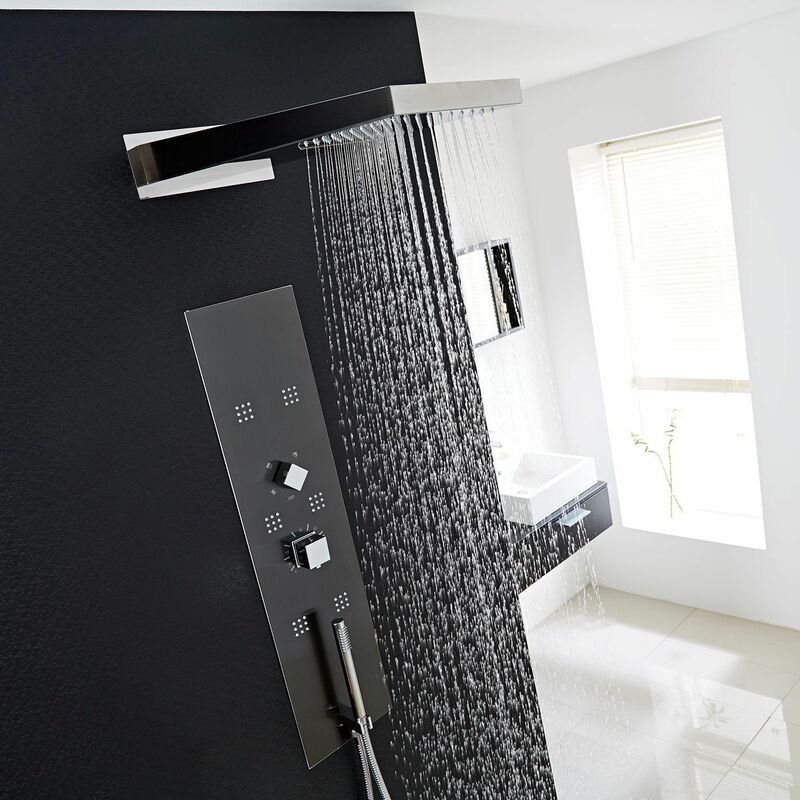 Add designer style to your bathroom with the Interval concealed thermostatic shower panel from Hudson Reed. 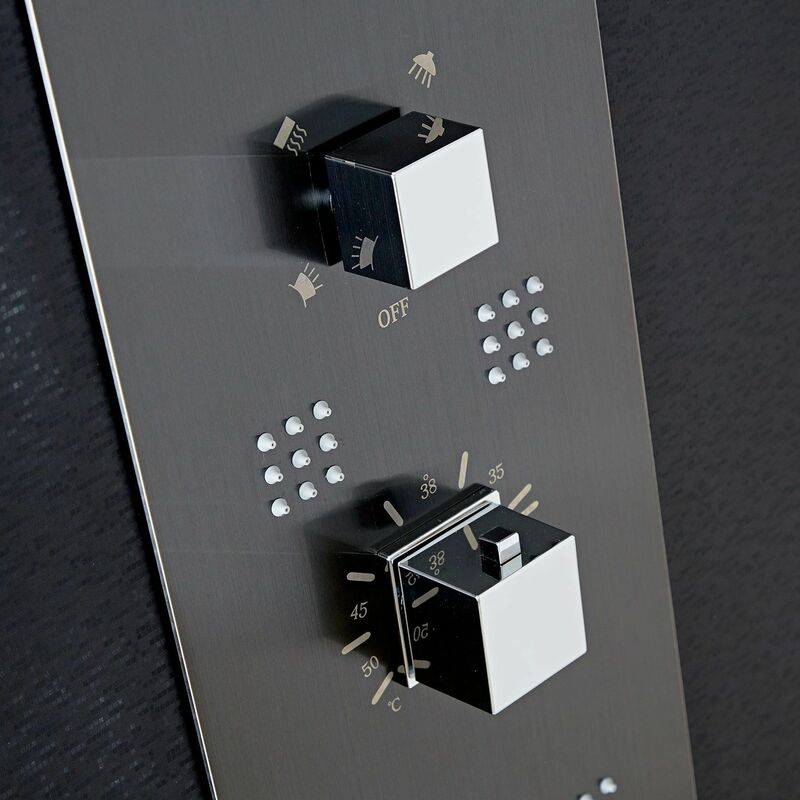 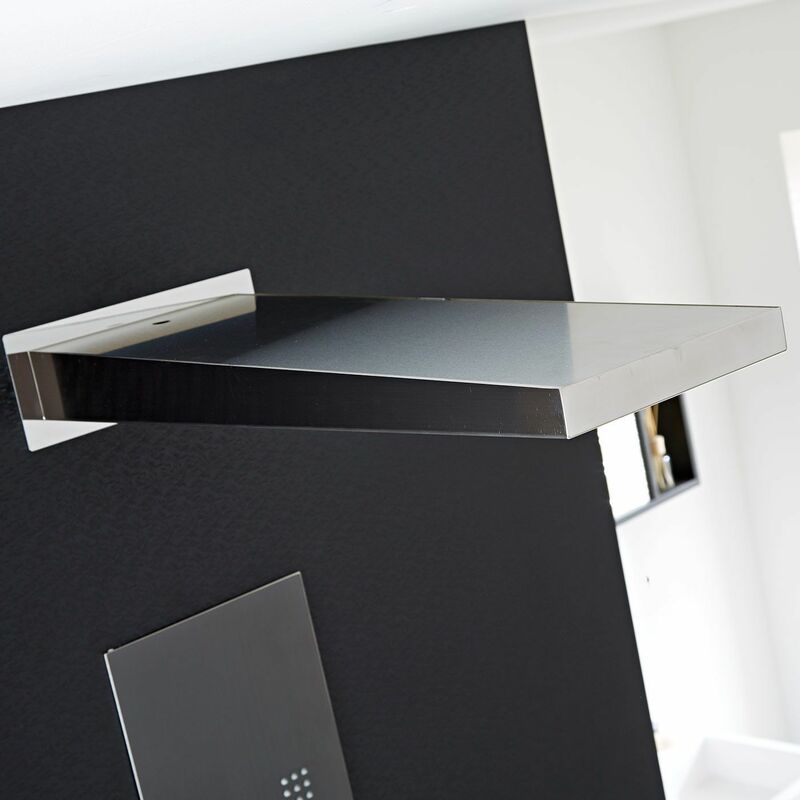 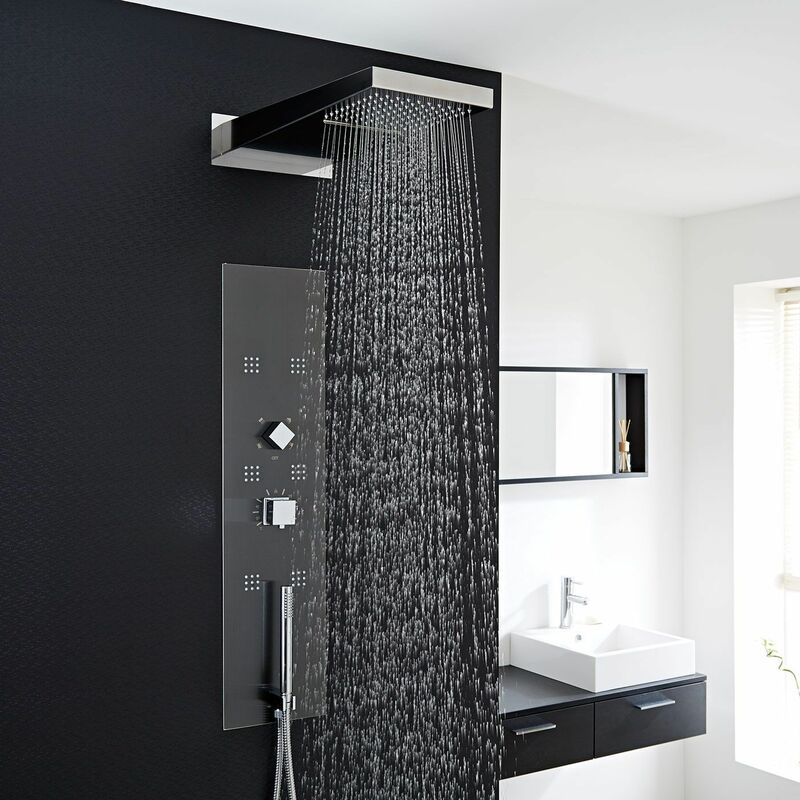 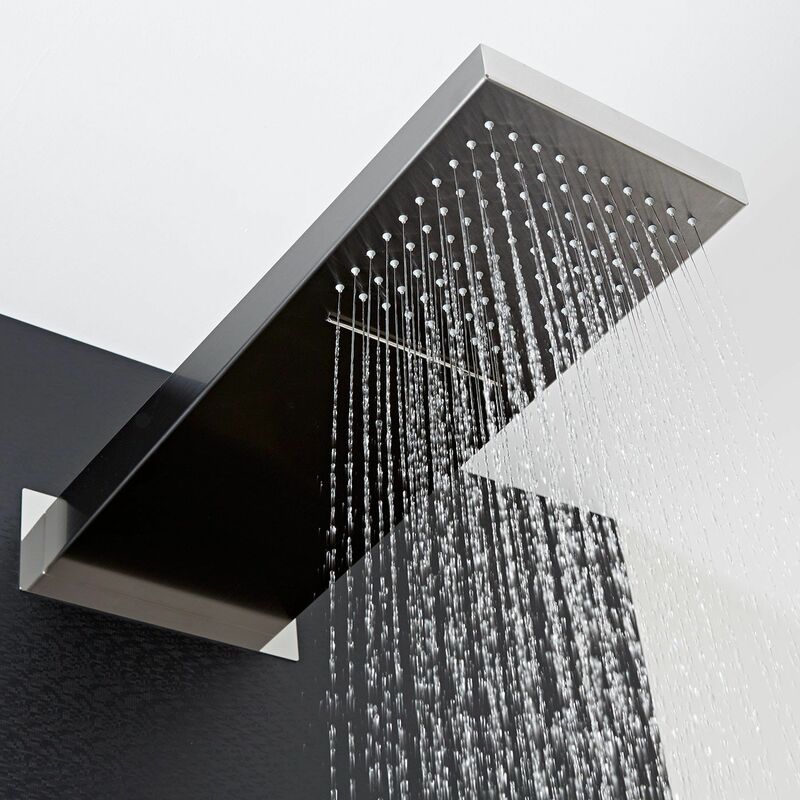 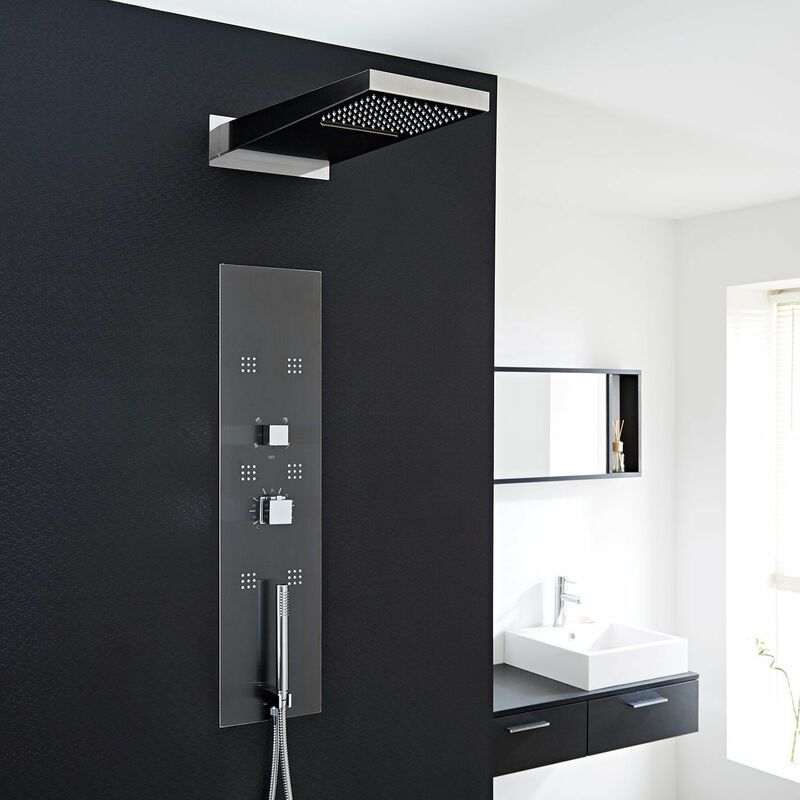 Featuring a gun metal finish and a concealed design for a streamlined look, this high quality shower panel provides smooth and precise control over the flow and temperature of the water. 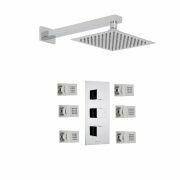 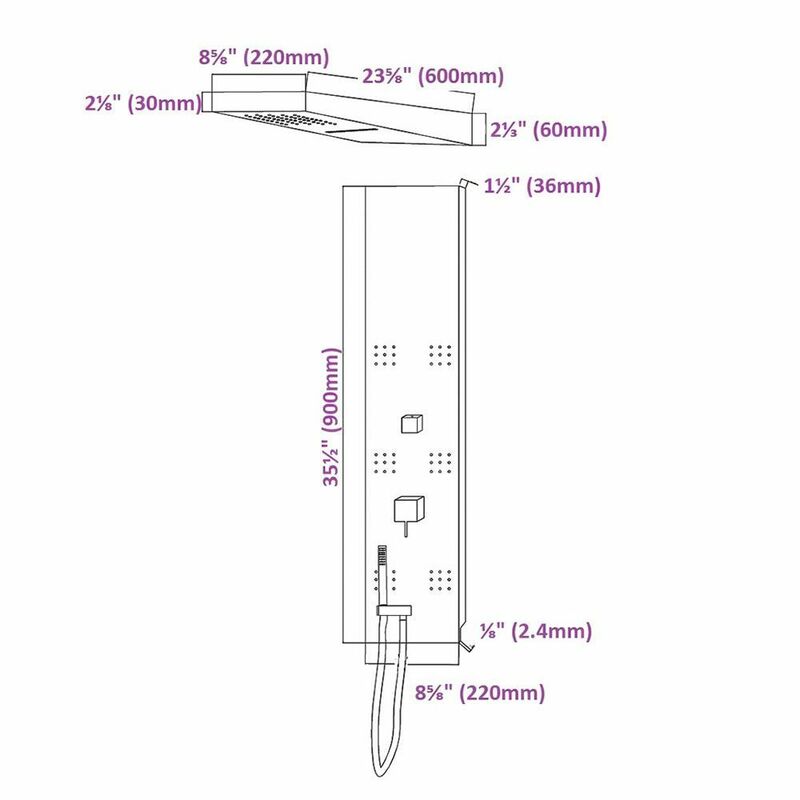 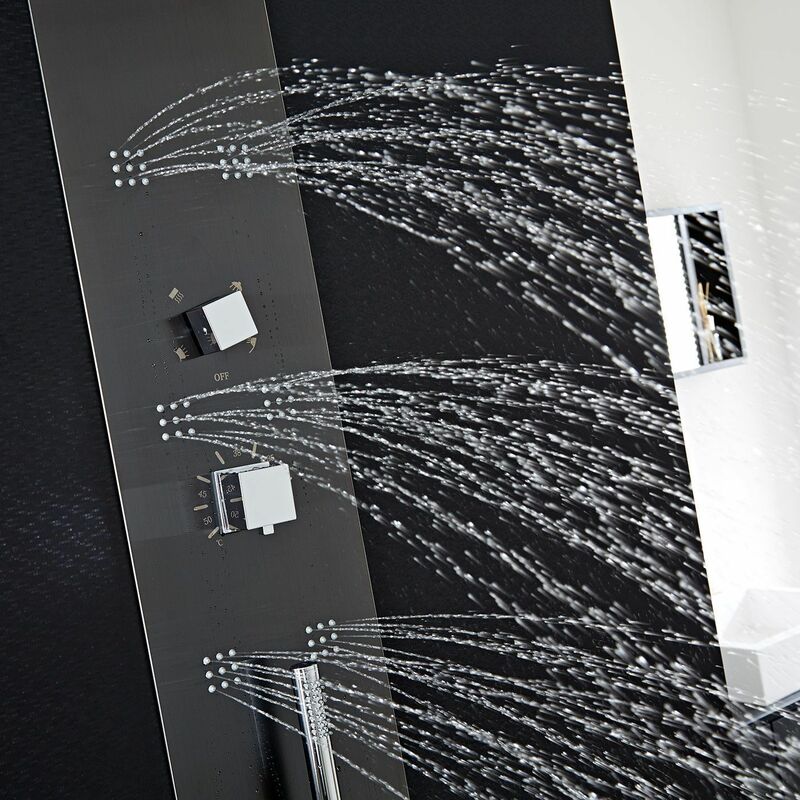 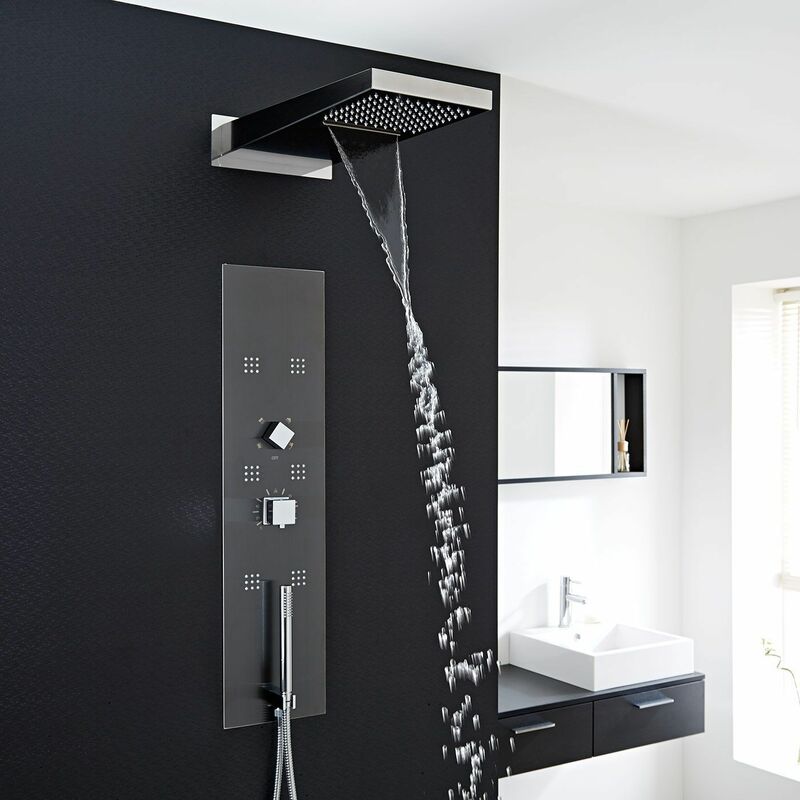 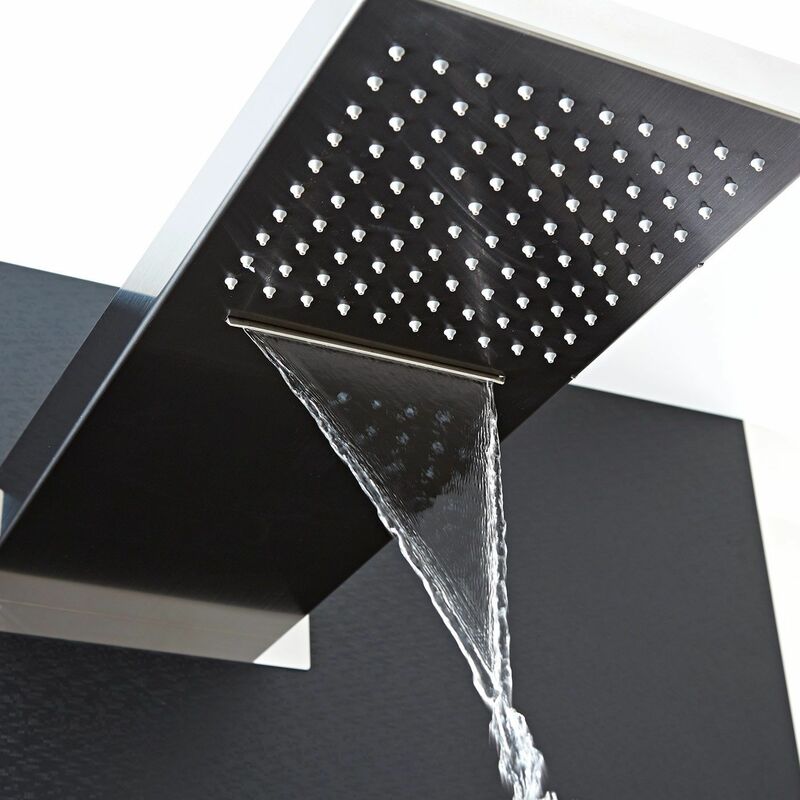 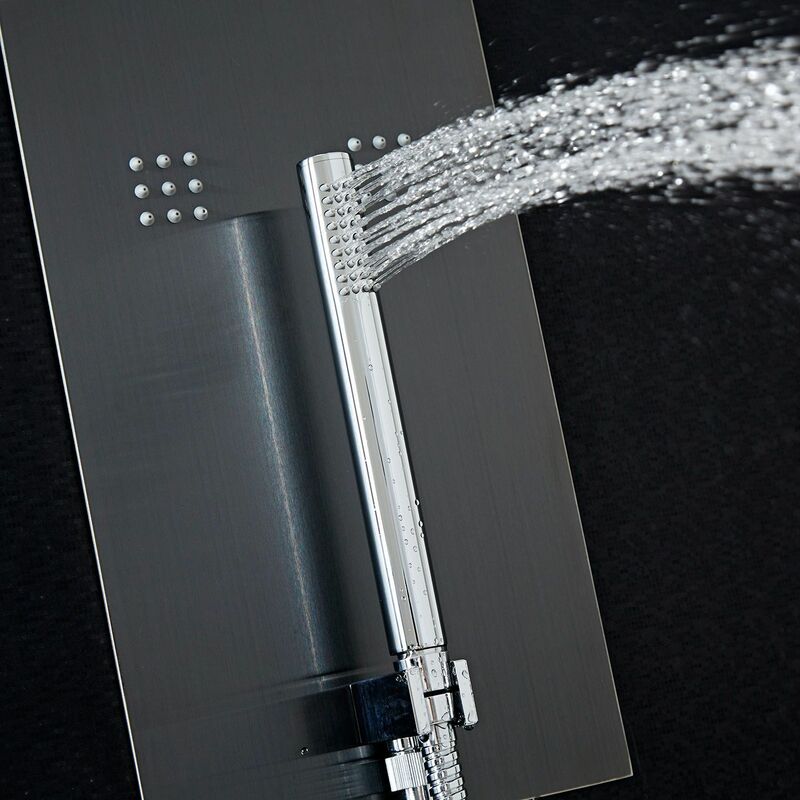 Delivering an amazing showering experience that's sure to get your day off to a great start, this thermostatic shower panel incorporates six massaging body jets, hand shower with hose and a separate fixed head with waterfall function. 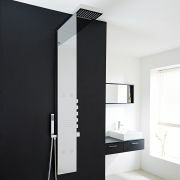 The shower panel has been made from stainless steel.